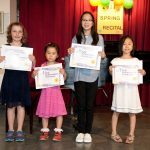 STRONG SIGHT-READING SKILLS – Erik C. and Sam D., Brenda B., Sophia R., Jaleelah A., Brooke T., Anika P. Matthew O.C., Kate O., Leila S., Jessie M., Mei-Lin S., Riviera L, Belen D., Daniel D.
IMPROVED SIGHT – READING SKILLS – Manuella W., Francesca V.K., Lilly R., Anthony J., Will G., Francesca V.K., Elizabeth L., Will G., Rachel M., Emily W., Maya P., Lilly R., Shazdeh K., Avish S., Hasan A.,Taiya C., Manuela W.
IMPROVED TECHNICAL SKILLS – Joan J., Maggie F., Sheila C., Jessie M., Anika K.P., Anna R., Anya N.D., Nick B., Maureen H., Manuela W., Tifanny S., Erik C., Pritika G., Matthew O.Y., Hasan A., Sara D., Sofia D., Gary B., Lindsay B., Lidiya N., Anna S., Lucas A., Maggie F., Manuela W., Allegra B., Anna R., Lilly P., Francesca V.K., Pritika G.
STRONG TECHNICAL SKILLS – Hasan A., Carolina R., Maggie F., Steven B., Lily S.,Anika P., Rachel M.
STRONG ENSEMBLE SKILLS – Rachel M., Jaleelah A., Asher F., Pritika G. Anna R., Carolina R., Lilly R., Anna B., Lilly B., Carolina B. 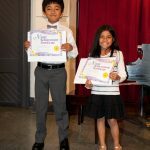 GOOD MUSICAL INTERPRETATION – Matthew O.Y, Lilly P. Anthony J, Anya N.D., Anika P., Nina W., Hasan A., Katherine E., Lucas M., Lily S., Carolina R., Sofia R., Jesse M., Erik C., Amaal A., Matthew O.Y., Brenda B.
ACCOMPLISHING ADVANCED REPERTOIRE – Chloe P., Anthony J. 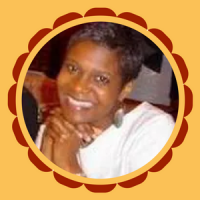 TECHNICAL TRIUMPH – Anika P.
SPRING PRACTICE CHALLENGE – Anna R., Anika N.D., Anthony J. 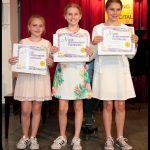 PIANO KARATE BELTS – YELLOW BELT – Lilly P., Anthony J.; ORANGE BELT – Francesca V.K. and Anya N.D., RED BELT – Anna R., PURPLE BELT – Erik C., WHITE BRONZE BELT – Carolina R. WHITE BELT – Emily W., RED AND BROWN BELT – Sofia R., BLUE AND RED BELT – Erik C., WHITE AND YELLOW BRONZE BELT – Anthony J., WHITE,YELLOW AND ORANGE BRONZE BELT – Anna R., WHITE BELTS – Kate O., Jessie M., Anna R. Nina W., YELLOW BELT – Sara D., ORANGE BELT – Matthew O.Y.,GREEN BELT – Chloe P., Sofia D., Manuela W., BLUE BRONZE BELT – Sofia R., WHITE BELT – Avish S.,Daniel D.